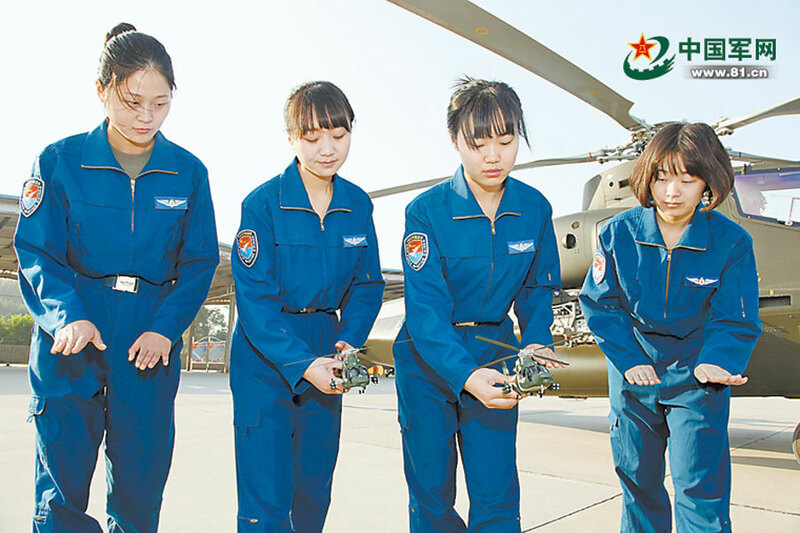 The first batch of Chinese female attack helicopter pilots have completed two years training and are now ready for action. The five fixed-wing aircraft pilots were chosen by the Chinese army's aviation corps in 2014 and have undergone rigorous and intensive training involving both simulators and one-to-one actual flight training. They had learned new skills to fly rotary aircraft, and successfully complete tens of flight maneuvers and attack tasks. According to the brigade commander, new training methods shortened the course time dramatically, allowing the move to independent missions more quickly, and will help significantly in the intensive training of other pilots in the future.